Samplestar are very proud to present Pool Side Summer Anthems 2018! An uplifting feel-good production pack that perfectly captures the mood of the season. Packed full of infectious club/radio friendly hooks and progressions each loop is delivered as both a wav and midi file for the ultimate in sound design and flexibility. 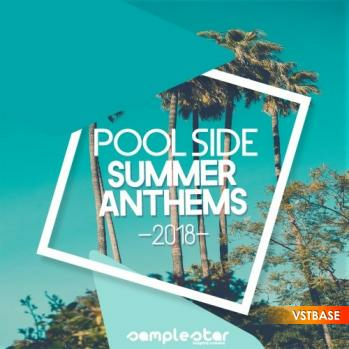 Pool Side Summer Anthems provides producers with the perfect building blocks for making tracks which are ready to tear up the club and the radio airwaves. Sun, Sea, Sand & erm... Studio time! All content has been perfectly mixed and eq’d for optimum sonic balance while allowing plenty of extra headroom for further processing and also final mastering stages. Get that slick pro-sound straight out of the box and take your productions to the next level! • Full Song Starter Inspiration Kits: 5 x Huge Key-Labeled track starter kits of combined Drums, Bass, Synth, Melodics, Vocals broken out into individual professionally mixed and mastered (.WAVs) stems. - (Including: Full (.MIDIs) Files).